Thanksgiving is coming around the corner! But what can you read to the kids this season? Here is a cornucopia of books that will teach about Thanksgiving, help with literacy, reinforce gratitude and even offer some laughs along the way. 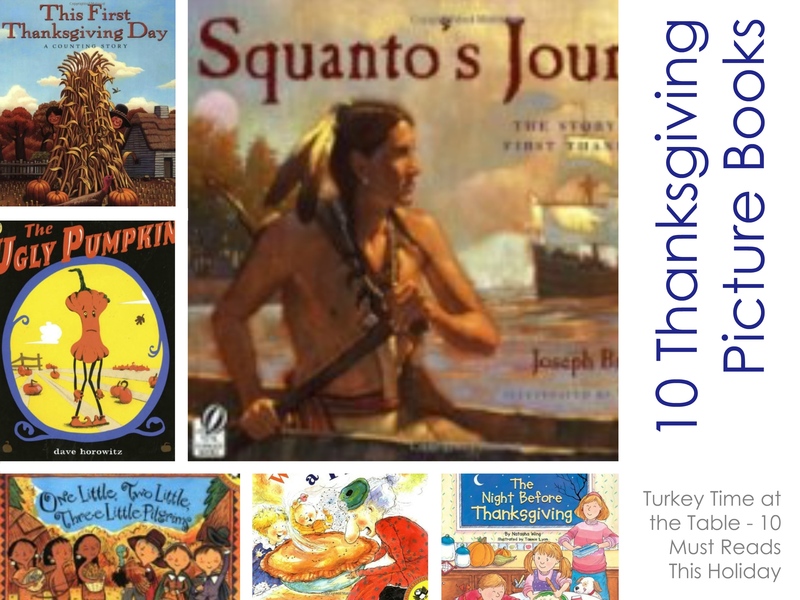 Categories: Book Nook, Thanksgiving, Top 10 Lists | Tags: Joseph Bruchac, Mayflower, One Little Two Little Three Little Pilgrims (Picture Puffin Books), Rhonda Gowler Greene, thanksgiving, Tony Johnston, Turkey, Wampanoag | Permalink.